He is not a household name but his name would certainly ring a bell whenever it is mentioned. Will Hernandez, a second-round pick by the New York Giants played left guard for UTEP and was a 2-time All American. With the makings of a great offensive lineman coupled with his skills, he would be an excellent fit for the Giants and would help protect the team’s franchise quarterback like Eli Manning donning jersey No. 71. Born William Hernandez on September 2, 1995, in Las Vegas, Nevada, he grew up playing soccer, wrestling, and track and field (shot put and discus). He also played three years of varsity football as an offensive guard and defensive tackle at Chaparral High School, Las Vegas where he graduated from in 2013. Hernandez was selected as All-Conference player on both offense and defense and recorded 42 tackles, eight sacks, one interception, five forced fumbles and two fumble recoveries as a senior. Following his high school career, he received scholarship offers from Pac-12 conference schools such as Arizona State and Southern California. The colleges, however, backed away as a result of his academic ineligibility though he would become eligible about a month after Signing Day. Eventually, he committed to the University of Texas, El Paso (UTEP), arguably football’s most anonymous school, where he played for the UTEP Miners, which often gets overlooked. As a redshirt freshman, he wanted to drop out of college but was talked out of it by his high school coach, Bill Froman. He was convinced that he has the kind of potential to not only play college football but professionally too. Will evolved to a starter at left guard in 2014, starting all 49 games he played during his collegiate career. Despite the reputation of his college in the gridiron arena, he rose above the stereotype to earn first-team Conference USA honors for the Miners in both 2016 and 2017, making him the first UTEP offensive lineman to earn first-team honors in consecutive seasons. Can anything good come out of Nazareth? Will Hernandez is absolutely more than good and came out from there. Besides the all-conference selection, he was named to the AP (Associated Press) All-American second-team in 2016 and 2017, establishing him as the first student to achieve the feat. He was also invited to the College Football All-Star Challenge. Hernandez graduated from college in December 2017, earning a bachelor’s degree in kinesiology. The Miners went 0-12 in the 2017 season which could have led Hernandez to put things in cruise control and probably take the eyes of scouts off him but he still put the pedal to the metal while a steady stream of scouts still showed up at their games to get a look at the bulldozing interior blocker. Although guards are not generally high NFL picks and don’t usually command dollars like tackles or even anchor offensive lines like centers, Will was projected to be in one of the first two rounds going into the 2018 NFL Drafts. The back-to-back AP second-team All American guard’s expectations were exceeded. He was not only selected to play in the NFL but also as a high draft pick. He was drafted by the New York Giants in the second round (34th overall) and soon found himself signing a four-year contract worth $7,450,740 with the Giants with $5,568,294 guaranteed including a signing bonus of $3,498,720. The frame exists, so does the pedigree, as does the talent. 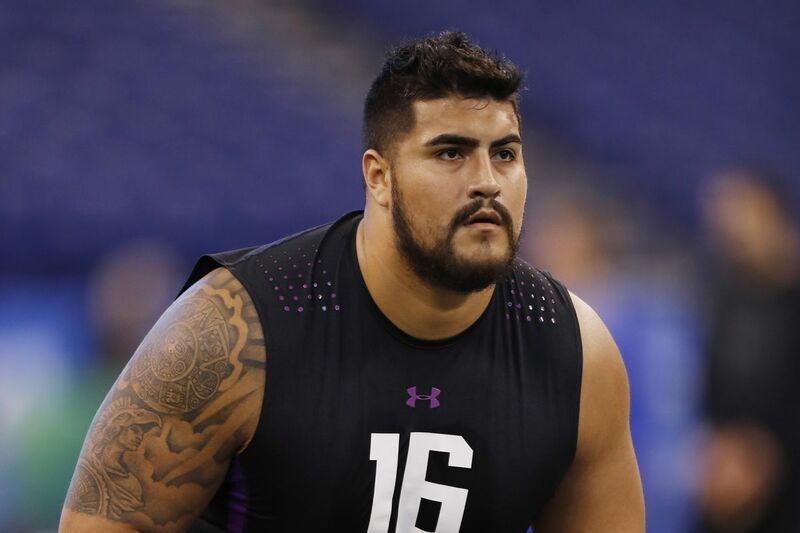 The Giants’ guard was born to Robert Hernandez, a former professional soccer player in Mexico (the athletic gene is defined) and Angelica Lemus. Prior to his birth, his family moved from Mexico to Las Vegas. He grew up playing soccer until 8th grade when he discovered his love for football which turned out to be his forte. Will Hernandez has a younger sister named Kathy. As his gridiron dreams began to take shape in his sophomore year in high school, his family was hit hard financially owing to his father’s contracting business taking a turn for the worse. At that time, he took to helping his father by shifting his focus from football to getting the business restarted. He traded his shoulder pads, cleats and hitting people for responsibilities such as shovelling cement and hauling concrete blocks. The situation in the Hernandez’ household lasted for about two years during which they had to live in a shed (consisting of one bedroom, with two beds, one living room and a kitchen for 4 people) which they bought from Home Depot to make ends meet. Ends actually did meet and things would take a turn for the better. They eventually moved back to their original home after those two years which they described as life-changing. Hernandez, determined to entrench smiles on his family’s face set his eyes on something very specific not minding how much it would cut into his first paycheck. While many newly drafted NFL players have a range of things their first purchase would be such as cars, a house, jewellery, or other lavish things, the offensive lineman went on to fulfill his lifelong dream of buying his parents a home weeks after signing a deal with the Giants. And what a beautiful smile he got on their faces. The Giants’ hog molly is a rare combination of power, balance, and athletic prowess with the speed and athleticism to block well in space and be a good pulling guard. At a height of 1.90 (6′ 2″) m and body weight of 138 kg, Will Hernandez is a brutal force in the trenches and is very aggressive at the point of attack in run blocking which gave rise to his being described as a mauler by most scouts.